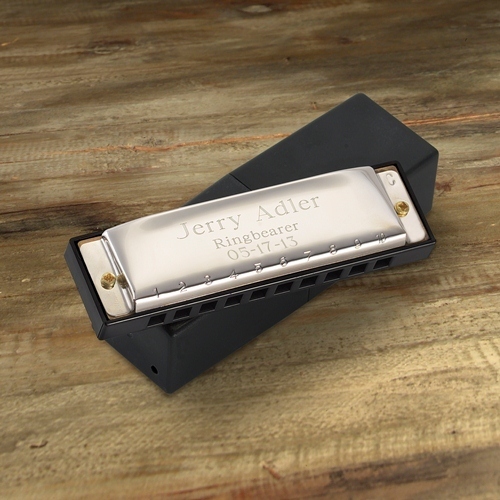 * Play the blues or even a little rock-n-roll on this genuine Hohner, personalized harmonica. * Everyone will love the opportunity to make their own kind of music on this standard 10-hole (diatonic) harmonica, fashioned from high-polished stainless steel. * Arrives ready-to-play in an elegant black box. 4" x 2" x 0.75"